The Department of Health and Human Services is running a HIPAA Administrative Simplification Optimization Project Pilot and is currently seeking volunteers to have compliance reviews. The aim of the pilot is to streamline HIPAA compliance reviews for health plans and healthcare clearinghouses. Currently, a variety of different data formats are used for conducting electronic transitions. That variety can cause problems when transferring and sharing data. If communications about billing and insurance related matters are streamlined and healthcare organizations comply with the HIPAA Administrative Simplification transaction standards, providers and health plans can devote fewer resources to these tasks. Compliance with the Administrative Simplification transaction standards will also reduce the burden on compliant entities having to exchange healthcare data with trading partners that are not compliant. According to the 2016 CAQH Index, industry-wide compliance with the HIPAA Administrative Simplification transaction standards could result in savings of almost $9 billion each year for the healthcare industry. However, for those savings to be made, there must be industry-wide compliance. One of the ways that the HHS can help to make these savings is by conducting proactive compliance reviews. The purpose of the reviews is to help health plans and other healthcare organizations take action to ensure compliance. The reviews will commence with a pilot, for which the HHS is now seeking volunteers. In total, the HSS requires six volunteer organizations for the HIPAA Administrative Simplification Optimization Project pilot – three health plans and three healthcare clearinghouses. 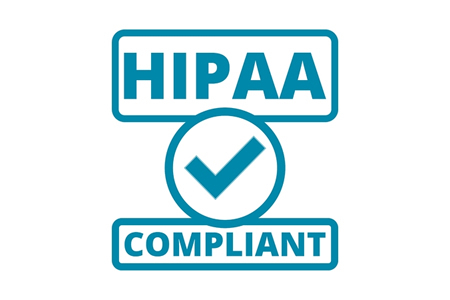 Organizations that participate in the pilot will be subjected to a review of their transactions to assess compliance with the HIPAA Administrative Simplification standards, and will cover code sets, adopted standards, unique identifiers, and operating rules. Health plans and clearinghouse that join the HIPAA Administrative Simplification Optimization Project pilot will be able to verify compliance or identify noncompliance issues. The compliance reviews will start in January 2018 and will inform the rollout of the Administrative Simplification Optimization Program. The reviews will require volunteer organizations to submit electronic transaction files, which will be reviewed and tested by the HHS. The HHS suggests the process of submitting electronic files for review should take no longer than 10 hours. Further details of the pilot reviews will be supplied to participants that are selected to take part in the pilot. Once the reviews have been conducted, all participants that have successfully passed a review will be provided with a certificate by the HHS, which volunteers will be able to share with their partners and business associates. If non-compliance is discovered, the HHS will provide guidance on areas for optimization and a corrective action plan will need to be developed by the volunteers to address compliance issues. Any organization that takes part in the pilot will not be selected for a further review for one year following the launch of the HHS Administrative Simplification Optimization Program. The HHS is accepting applications for the HIPAA Administrative Simplification Optimization Project pilot by email – HIPAAcompliant@cms.hhs.gov – with volunteers chosen from the pool of applicants that have applied by December 13, 2017. All organizations that apply will be notified whether they have been selected or not by December 27, 2017.